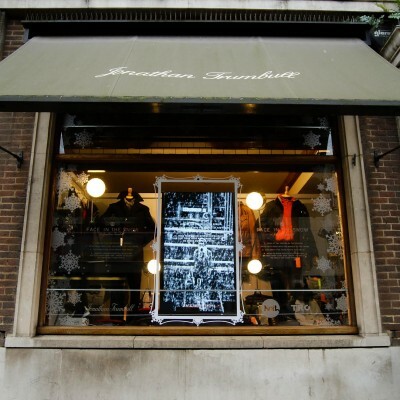 Jonathan Trumbull is Norwich’s premier designer clothes store carrying all of the leading designers. Their heritage stretches back to 1971. Premium designer menswear store creates digital interactive shop window using facial recognition technology and Feonic sound transducers for Christmas window display in bid to drive engagement, brand experience and boost sales.